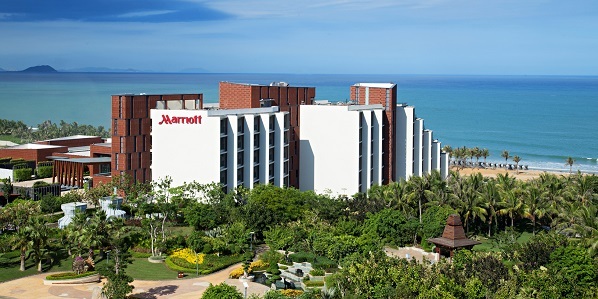 The property will add to Marriott Hotel’s growing portfolio of resorts in major leisure destinations around the world. The design of Xiangshui Bay Marriott Resort & Spa is inspired by the pristine natural environment of Xiangshui Bay Scenery Area on the south-east coast. The resort is situated along an unspoiled stretch of sun-kissed beaches 60 kilometres from Sanya. Opening in two phases, with the final phase completed in early 2017, the 144-room resort is inviting with a strong residential ambiance styled for relaxed vacations with its own secluded beach. With ocean views and balconies overlooking the South China Sea, spacious guest rooms of 55 square metres and seven Panorama Ocean View Suites of 135 square metres that feature deluxe bathrooms with marble finish, oversized soaking tubs and rainforest showers. Upon completion, eight vibrant restaurants and bars will be headlined by modern Chinese destination restaurant New Dynasty, specialising in Cantonese seafood, BBQ and dim sum along with local Hainanese cuisine, with an extensive wine cellar and whisky collection. Quan Spa, an extravagant spa which offers an extensive selection of latest therapy treatments including traditional Chinese medicine to revitalise the senses, will also welcome guests. Recreational facilities include an expansive 450 square meter oceanfront swimming pool, state-of-the-art Fitness Centre, Kids Club and Games Room for table tennis and billiards. Numerous water sports options extend to jet-skiing and para-skiing, with golfing about 45 minutes away at the new Clearwater Bay Golf Club. Xiangshui Bay Marriott Resort & Spa is owned by Hong Kong Stock Exchange -listed Chinese property developer Guangzhou R&F Properties.